The younger brother of Agha Hovsep Hovhanes Amirkhan, being Amir Hovhanes Amirkhan and his descendants..... Anna's cousins. 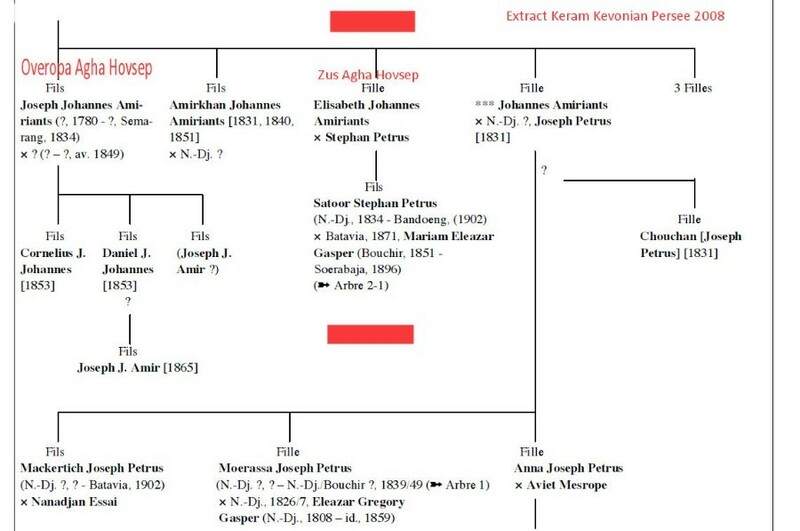 PETROSIAN family or according the Dutch almanacs: Satoor Petrosian. "Yegisabeth (2de daughter of Amir Hovhanes Amirkhan) married Estepanos Petrosian, they had one son named Astevazador (Zazan) a short time after their marriage. 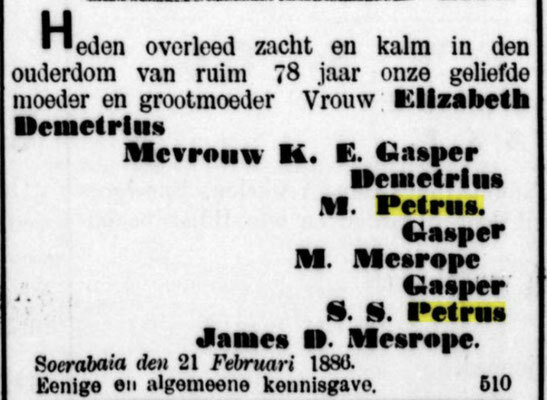 Estepanos died and she lived in her father's house the rest of her life and died because at typhus in 1872AD. His son Zazan immigrated to Java and died in BONDONG CITY in 1902 AD. Zazan had 2 sons who are living in Java. The younger son is protected by his wife family, both brothers are inspectors." 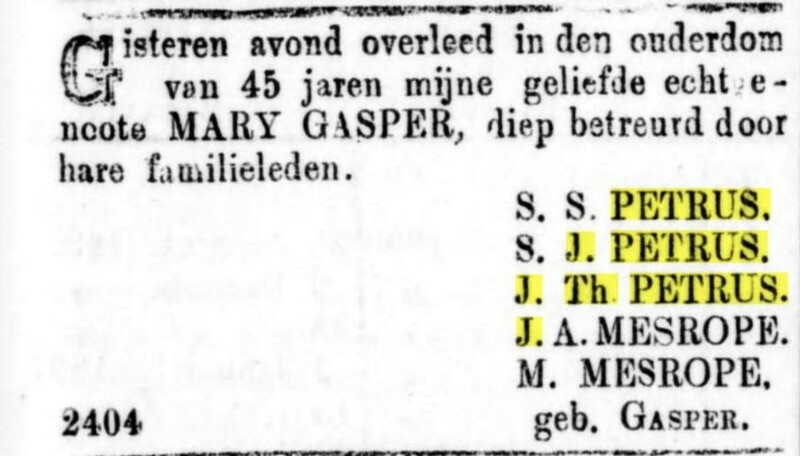 *Editor: The above is a fragment of the Family book gave me troubles, as the Dutch sources only use Dutch renamed info/data. 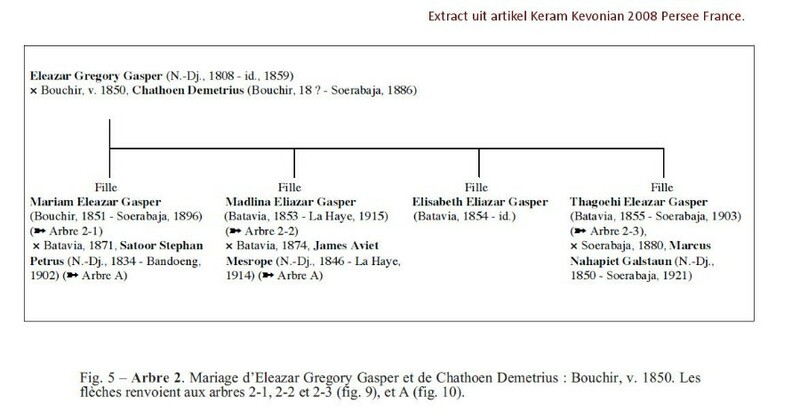 Armenian names are most seldomly used. Estepanos Petrosian ----> Stephan Petrus. 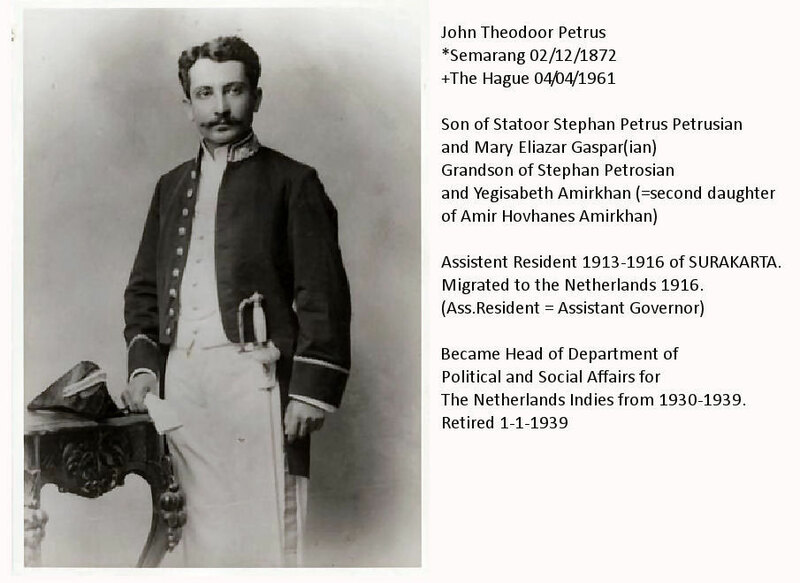 John Theodoor Petrus, born at Semarang 2 dec 1873, married Johanna Louisa Maria Blumberger at 16 nov 1897 at Semarang. 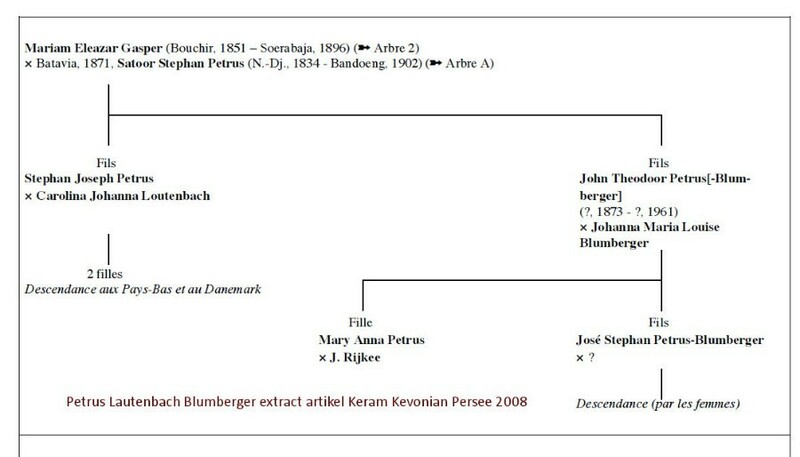 Their children Mary Anna born 1898 Pekalongan and Jose Stephen born 1900 Semarang. Stephan Joseph Petrus, born at Semarang 24 may 1872 and married Carolina Johanna (Nini) Lautenbach (born 30 mei 1884 Binjei) 21 mei 1902 te MURMERWOUDE Friesland The Netherlands (Stephen Joseph was working at TALOE at Sumatra. Their children Mary Johanna 1905 Palembang en Kitty Stephanie 1906. Both sons John as well as Stephan studied to become a controller/inspector for and on behalf of the Dutch Indies Government. John worked permanently at Solo (Sultanate of Surakarta) 1913-1916 and Stephan worked wherever the Government needed him to be. 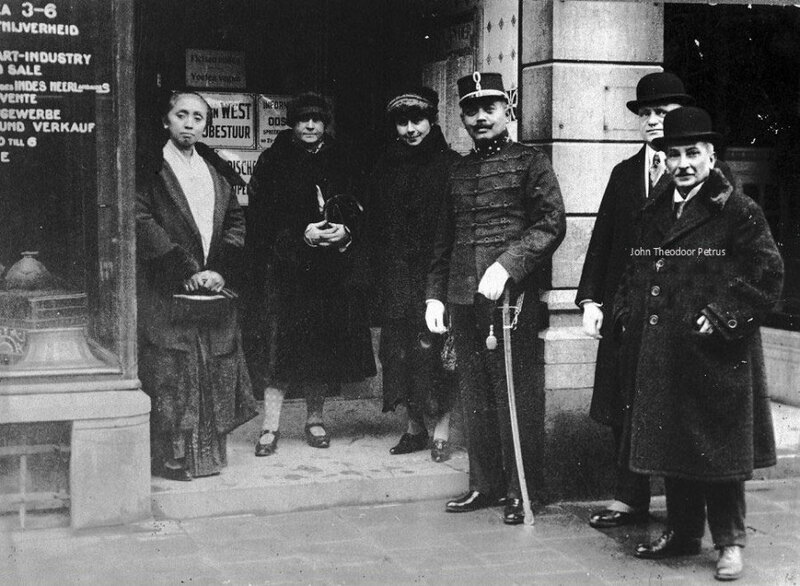 Zazan, their father and their mother Maria Gaspar lived in Surabaya. Zazan died on June 5t, 1902 at Bandung due to the cholera, when he was doing business in that town. Mother Maria died some years earlier at home in Surabaya. 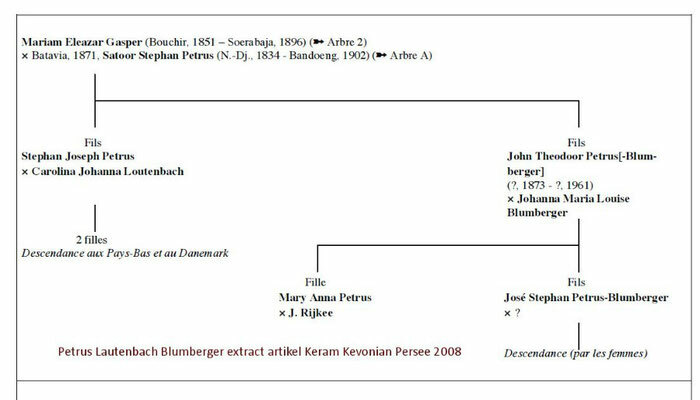 The Dutch were rather confused and John later was known as Petrus Blumberger. It is unknown to me why he changed his name. John Petrus at older age in the last year before his retirement in 1939. Sightseeing and entertaining a Princess from Solo, who was on tour in The Netherlands. The Princes on the left and John Petrus on the right. 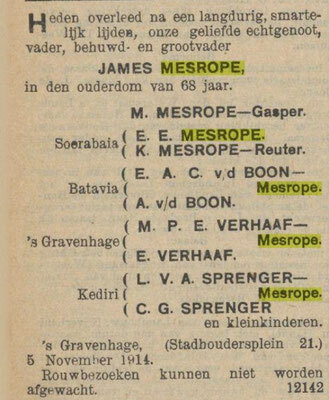 John and his family moved permanently to the Netherlands in 1916. He became Head of the Department of the Colonial Affairs 1930-1939. and was politically involved in the former Dutch Indies affairs. He wrote 2 books: 1) The Communist Movement in Nederlands Indie and 2) "The "Indo European movement in Nederlands Indie". John died at The Hague 4 april 1961. His brother Stephan kept working being a controller/inspector for the Dutch Government, was retired and became Director of the Ltd NAGREK TURFAS mill at Bandung. 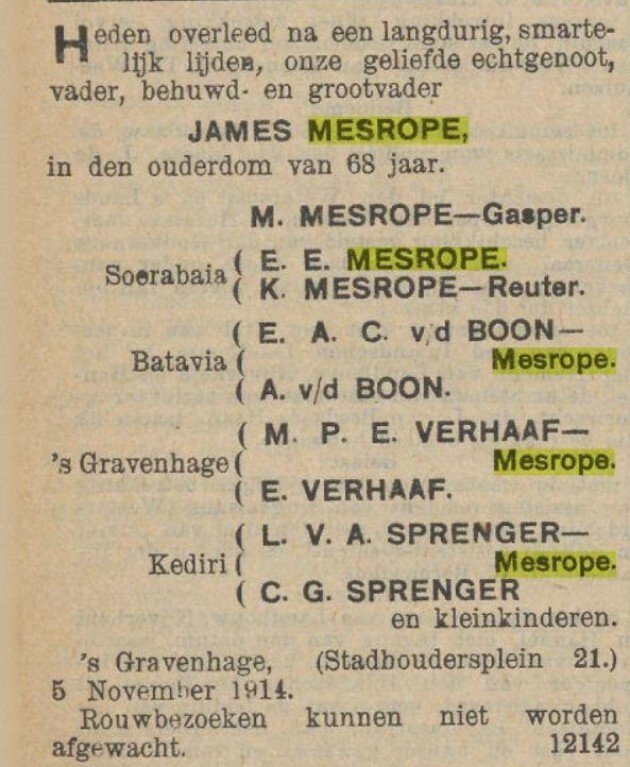 John also focussed on Armenian affairs in former Dutch Indies, but his archives are not published for common use. Hereunder some scans and pictures explaining and informing the relation and connection of the Amirkhan Family to the Mesrope, Gaspar and other families. Two Armenian sons with roots at New Julfa. They married Dutch wives. One changed his name and moved further away from New Julfa; the other kept on carrying his Armenian name and stayed in the land where his father settled down being Indonesia. I wonder of their descendants are aware of their Armenian heritage.